You must make reservations at least 5 minutes in advance of the time at TAG. Valet is available on Larimer Square. Street parking is also available throughout Larimer Square. 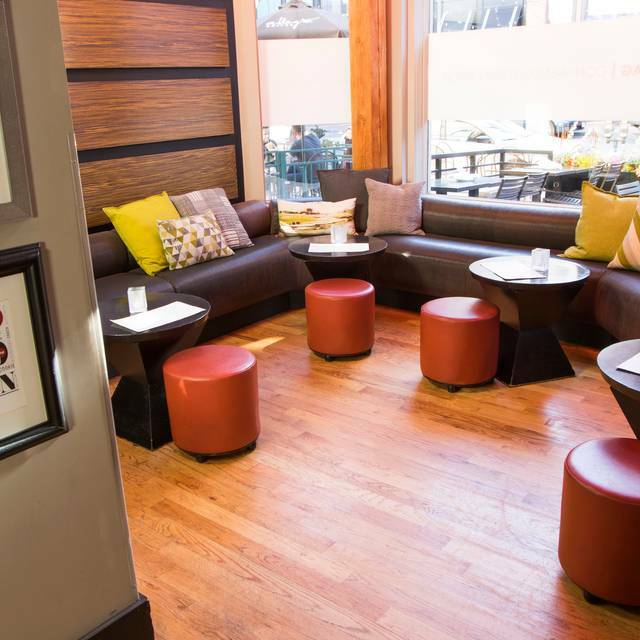 TAG Underground, our lower level private room, is perfect for your next exclusive event. Please contact our Events Coordinator Tammy Vo for more information. 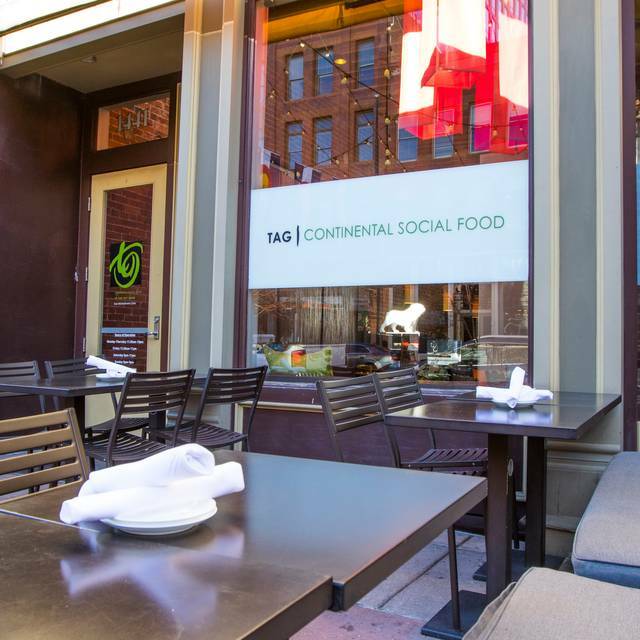 An innovative addition to the consistently hip Larimer Square district, TAG is the brainchild of Troy Guard, Denver’s undisputed culinary vanguard. The playful, progressive menu – billed as: “Continental Social Food” – combines fresh local ingredients and well traveled preparations with a genuine flare for the unexpected. 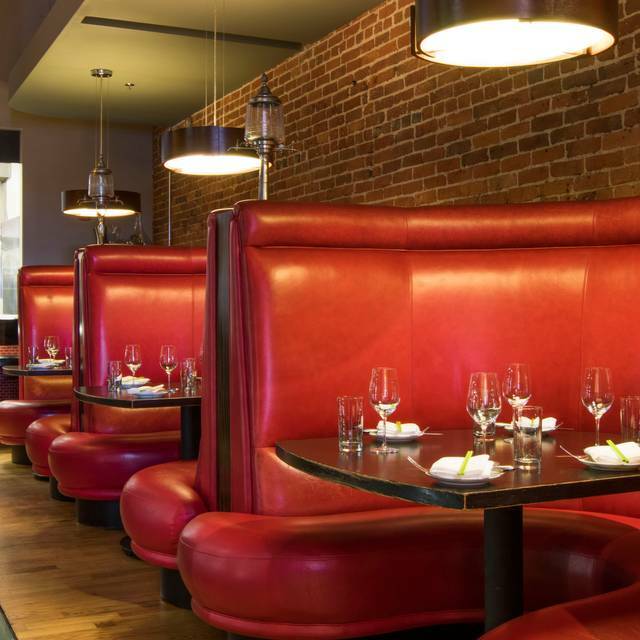 The cuisine is complemented by an eclectic wine list, a soaring two-story space and an easy intimacy– the perfect place (and plates) to share. A JAPANESE PHRASE THAT MEANS “IT’S UP TO YOU” OR IN THIS CASE... UP TO THE CHEF. In addition to our a la carte menu we also offer an Omakase experience available in 4, 6, or 8 course formats. If you are interested in an Omakase menu, please contact the restaurant directly to discuss pricing, dietary restrictions or special requests you may have. We request a 24-hour notice so that we may provide you with the most exciting menu possible. Requests for Omakase menus made within 24 hours cannot be guaranteed. Elegant, always festive, and a favorite of bridesmaids (and somms) everywhere! Seductive, aromatic, and ravishingly elegant with tropical notes so vivid you'll think you've died and woke up in a Henry Miller novel. Take a walk on the wild side! We bring in the brightest and freshest rosés from around the world to enjoy. Ask your server for today's selection! Serious but fun. Dry and elegant with notes of peach, raspberry and blood orange. Cel-e-brate good times! Simply stunning with mouthwatering, candied lemon, gun flint, and a honeyed finish. This Vermentino is grown on the Ligurian border and is a light, refreshing, and scintillating wine that will keep you (and us) coming back for more! Said it before and we'll say it again- Hugh Chapelle makes one the the best Sauv Blancs EVER! Bursting with tropical fruit, strong and zippy, makes us want just one more sippy! Effortlessly complex country flavors are carried weightlessly by this Trousseau's snappy and persistent energy. A finish that almost does not end is highlighted by vibrant and perky acidity. Only 2 cases made it to Colorado, so get it while you can! A dark, dense, rich beauty from Slovenia's indigenous Refosco grape- revered by the ancient Romans for its healthful properties. Plum and dark chocolate round out its rustic palate. Here's to your health! Rich, dense and brooding with inky dark fruit, chewy wood tannin and licorice. Classic Priorat! Plenty of new American oak here for all of you Rioja lovers but balanced out with incredible red fruit and baking spice. This incredible wine might be your best purchase of the year! Full and complex with an elegant mix of ripe red fruit, primarily cherry with cassis and a little plum, and rich baking spice on the entry. A little dusty, savory Cabernet Franc charm emerges on the mid-palate along with subtle mint and eucalyptus notes leading to a long, clean finish. So freakin' good! We were there for Easter Brunch. We love TAG because we are always wowed by the amazing dishes that they put out. Easter Brunch was just so so. Nothing made us want to come back for. It was really surprising for this restaurant. We usually leave feeling like we can't wait to come back. I think the pre fixed menus just aren't for us. Brought my family here for Easter and it was awful. They ran out of the lobster appetizer, for which were we ultimately thankful as there was only about a teaspoon of lobster on 5 asparagus spears. For the fried chicken Benedict, the chicken was dry and coating burnt on one piece while the poached eggs still had runny whites and the hollandaise was cold and flavorless. The skirt steak was very tough and little to no favor while the chimichurri sauce tasted like it was from a jar rather than freshly homemade. The butternut squash cheesecake had raw butternut squash as a garnish...terrible. The service was super slow and our waiter forgot things. Terrible meal especially for the $54/person price tag. I would not recommended. Everything was perfect!! We also LOVED our server!! 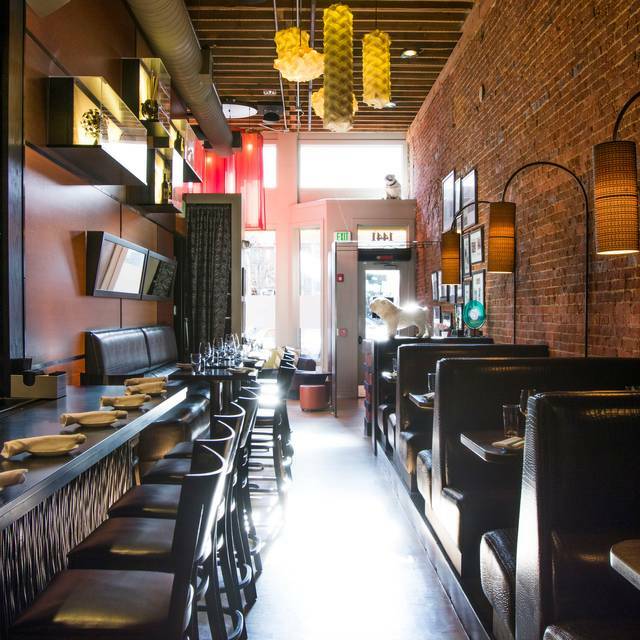 The eclectic mix of cuisines somehow totally makes sense at this swank downtown spot. As a huge fan of Troy Guards other restaurants I expected as much. I just don’t know why I waited so long to get here. Everything was delicious. We had the mole octopus and the sauce was savory and silky. The butterfish was literal butter. We finished off with the cauliflower and duck and I’m still dreaming about the curry flavor and perfect kale. So good, cannot wait to return for the chefs table! Our waiter Ben was amazing. Picked the perfect wine. Food was incredible. Highly recommend. The food was incredible as usual and the service was just as great (Tiffany). 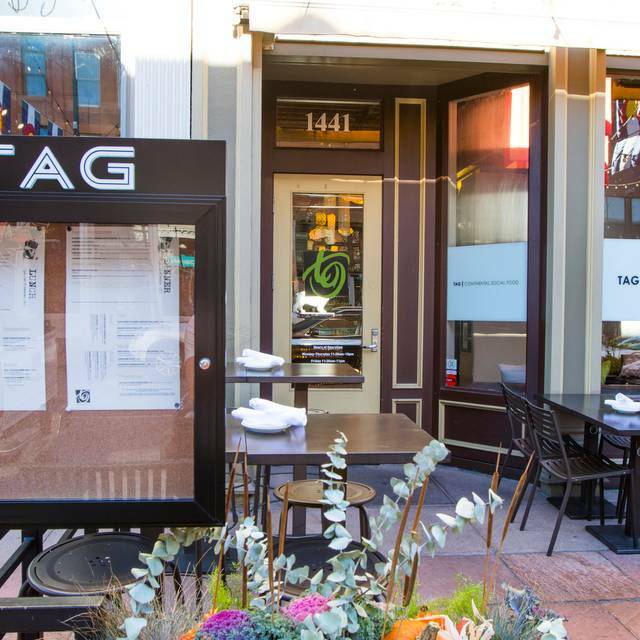 Really enjoy every time we have a meal at TAG, it's one of our favorite date night places. Great cocktails, wine selection and food that is always incredible (try the Flash Seared Hamachi app) and of course really well done main dishes (try the Prosciutto Wrapped Lamb Loin or the D’Artaganon Rohan Duck). As always we will be back soon. Another great experience at TAG! My girlfriend and I went here for her birthday. 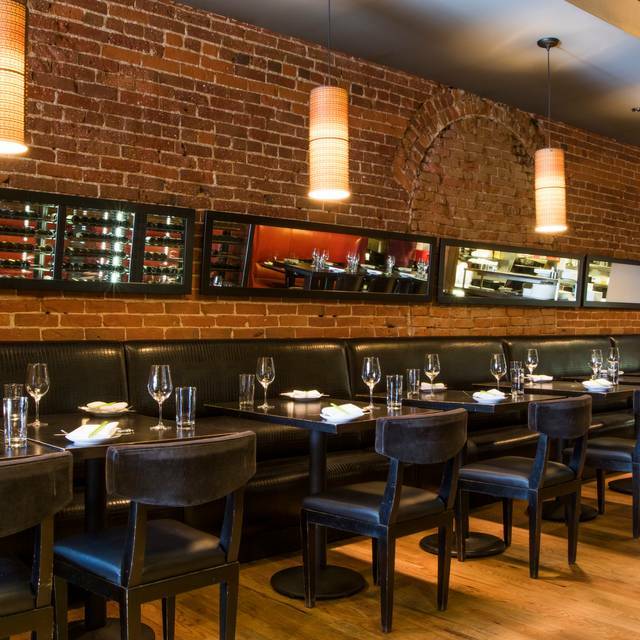 TAG has an exposed brick vibe reminiscent of New York featuring a bull dog as a sort of mascot. 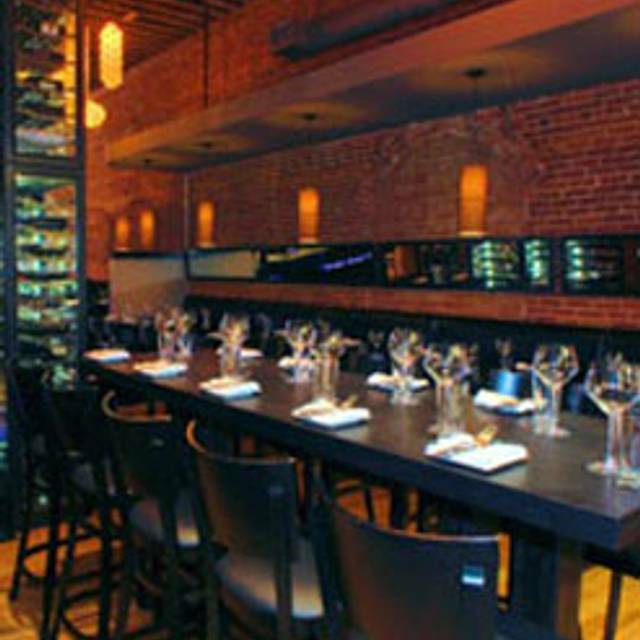 The staff was clearly knowledgeable about the food and the menu had a nice variety with a slight lean towards seafood. All dishes had unpredictable and beautiful presentation, especially the prosciutto wrapped lamb. Flask at the Movies - A tasty rye cocktail. Served without ice unless otherwise specified, which was to my preference but might make the drink too harsh for some. The cola syrup/bitters was subtly blended into the drink and avoided overpowering the other elements. Sushi tacos - These were fantastic. The tuna was slightly seared and the incorporation of Japanese rice was pleasant and unexpected. Seafood Pot Stickers - Also delicious. The sauce they were served in was zesty and made the dish. Monkfish - This was very creamy. It was served with a Japanese inspired cream sauce as well as risotto. While this dish far surpassed anything I could cook, I think it could have benefited from slightly harsher searing and a possible acid element. That being said, it was still fantastic. This is my new favorite restaurant in Denver! Bartender and food recommendation was perfect! Quick service, good ambiance, great appetizers and food. A good place to share and try multiple items. A little on the expensive side but great overall and worth the price. We had a wonderful time. Our server was a little overwhelmed however, the support staff stepped in and checked on us. Tag was amazing! Great food. Reasonable price. I love that it was something different! The service was amazing and the food was incredible. Always a great place to take friends from out of town. Not the best experience for us. Food was underwhelming and uninspired. Even the so called angry volcano sushi roll was a little bland and not so spicy. Service recovered ok from seating us at a drafty table and the reseating us at a wobbly one, but the tables themselves are so long I was sitting closer to the party next to me than my wife across the table. Maybe it was over hyped but we weren’t too impressed. Outstanding service!!! They made our anniversary dinner special and a dinner to remember. Seated adjacent to the kitchen, so more bustle than would have bee experienced in other parts of the restaurant. Good service, cocktails, wine and food. TAG, as always, was fantastic. From the Flash Seared Hamachi (with pop rocks) to the Canadian Duck and finally to the Deconstructed Banana Cream Pie the food was fantastic. Service was impeccable, thanks Ben, and the custom cocktail from Tiffany was just great. Thanks again for a wonderful date night. Next time we are going to make sure we get the Omakase. This was our second time eating at TAG. We made it down to Denver quicker than expected and they were able to squeeze us in. The sushi and califlower are our favorites. We had a question about how they made a certain sauce and the manager went through the ingredients allowing us to sample a particular ingredient that they do not make in house. It really was an awesome experience with very high standards in service. If you go, you will not be disappointed. Our server Tiffany was outstanding!!! One of the best date night meals/ experiences in a decade. Fred and Joey were amazing hosts. I have been there before but first time for my wife and it was her birthday. Duck was amazing! We visited TAG on a Thursday evening with a pretty big party (7 people) - three teenagers included. TAG's service and food were perfect! Seriously - even for the picky teens among us - everyone loved their meals. Portions were plentiful and artfully served. I was particularly impressed with the service though - the menu is loaded with ingredients that aren't part of a daily vocabulary, but we peppered our server with questions and she knew everything. She was equally as proficient with the extensive wine list. The atmosphere is casual, friendly and a little noisy. I generally like it like that, but with a big party it felt a little isolating - we couldn't all talk to each other from one end of the table to the other. Finally - this place is expensive. Worth it for us, but pay attention. Go - and have fun! Took the wife to TAG for her Birthday! They placed a card on the table, signed by the entire staff! who does that? the "Hanger Steak" I ordered was the best steak I've ever eaten, hands down. I will Definitely be making another reservation at TAG again. GREAT job all!! I usually don’t leave reviews but our experience dining at TAG last night absolutely blew us away. 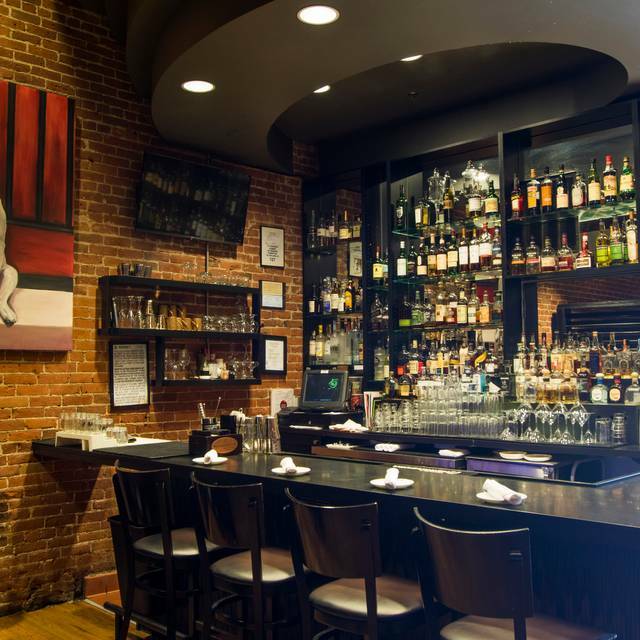 The manager and wait staff were extremely knowledable, accommodating, and kind. They listened to our table and even surprised us with an extra app and dessert plate based on items we were interested in trying but didn’t end of ordering. We did the 4 course tasting plate— which came with an iron chef rating system for their kitchen staff to compete on new and creative ideas, and take our feedback at the same time. What a fun experience— we will be back soon. One of the best dinners and service we have had ever, period. Thank you TAG! Just had my second visit to this restaurant to make sure the first visit wasn't a fluke and the staff at TAG did not disappoint! From the time that we walked in and checked our coats until walking back out the door, I felt like a VIP! The entire staff was extremely welcoming and Tiffany was extremely attentive. The food was phenomenal (sushi tacos, seared diver scallops, hanger steak, and various wines) and exceeded expectations. TAG is absolutely phenomenal!!! In all ways. YUMM! Absolutely incredible food, and even better service and ambience. Will absolutely go back, and will absolutely do Denver restaurant week every year. Met some friends visiting town at TAG. Our reservation was later and it was a snowy evening, so I’m sure that the staff wanted to get home, but our service didn’t suffer at all. It was amazing. It’s a louder atmosphere, but I really liked the music and we could still all hear each other in our booth. Food and drinks are fairly creative, but still appeal to slightly picky eaters like myself. Thank you for taking such great care of us - I am a local and I will be back. Tag continues to be one of the best meals in town. Wether you’re there for appetizers/shared plates, or a full meal, everything is a delectable journey. Throw in some unique, knock-out cocktails, and you’re in for one amazing evening! Restaurant week aligns with my Husband's birthday, so it was nice to see our Tag favorites still available on the menu. I like that the staff signs a birthday card rather than singing off key! Great food with wonderful birthday presentation of desert. Ambiance in the basement is much improved. I love the ambiance upstairs, and they've emulated it pretty well, now in the extra space. Really appreciated the emphasis on innovation here. 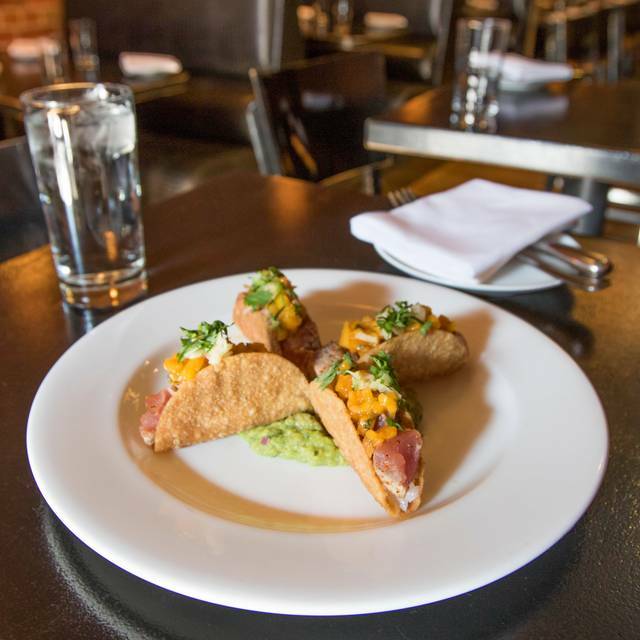 Website describes as some fusion of of Mexican, Hawaiian but it's essentially California cuisine. Crab pot stickers were excellent, tacos a good combination of textures and flavors. The wine list was "good enough". Wide variety with better pricing on their non U.S. wines and pretty high mark ups on California juice. We had one Celiac in our group and they made every effort to accommodate her dietary restrictions. Energetic atmosphere w/o being too noisy. We went during Restaurant Week and enjoyed each course. The service was excellent. The food wasn't great at all. Maybe it was because it was Denver Restaurant week but the food was burnt but the service was great! Food was decent, service was poor. Walked in and waited at the host stand for 5 minutes before being acknowledged. Was seated then waited 15 minutes with no service before going back to the hostess stand trying to figure out was happening. Manager came and apologized then comped a sushi roll and dessert. Would recommend sushi tacos and desserts. Main courses (steak and fish) were both very average. Came for a special occasion and was not a positive experience overall. EDIT: general manager reached out to offer a gift card to make up for this poor experience and never followed thru with actually sending. Thanks again for your patience with the the mix up in the mail, we look forward to seeing you soon with your reissued gift card! The restaurant week menu was interesting but the food tasted some one reheated etc, not super fresh. Not bad, but not what we were expecting. Had high expectations given the chef’s reputation and reviews. But our party of 7 was disappointed with several of the dishes finding them just so so. Nothing glaringly poor other than the Kobe sliders which were tiny and bland, but nothing particularly good either. Service was excellent and the ambiance nice, but for a little over $500 not including wine, it should have been much better. Food was good, 3 course tasting all but one was really good. Good music but not quite. Love going to TAG. The wait staff is fantastic and even during restaurant week in Denver they wanted to accommodate whatever they could beyond the limited menu.